A Resourceful Home .com: Pantry Challenge 2011! Every year I have a grocery shopping heyday in November and December. The prices are amazing and I can't resist stocking up. Last year I looked at my pantry in January and decided to have a Pantry Challenge! The idea is to shop as little as possible and use what you've already got on hand. 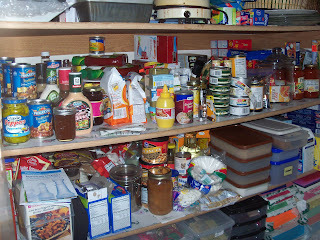 This is what my pantry and freezer looked like at the start of Pantry Challenge 2010! I know, ridiculous amounts of food! I was able to shop sparingly and by the end of April I had completely cleaned out and defrosted my extra freezer and the pantry was reduced to 2 shelves instead of 3. Clearly I need to defrost the freezer! I am also proud to report that there is much less food in both the pantry and the freezer as I begin this year's challenge. 1. For the month of February spend $20/week at the most on groceries for perishable items only. Save the other $30/week for bulk buying later in the year. 2. For the month of February plan out the whole month of meals so I can limit my trips to the grocery store. 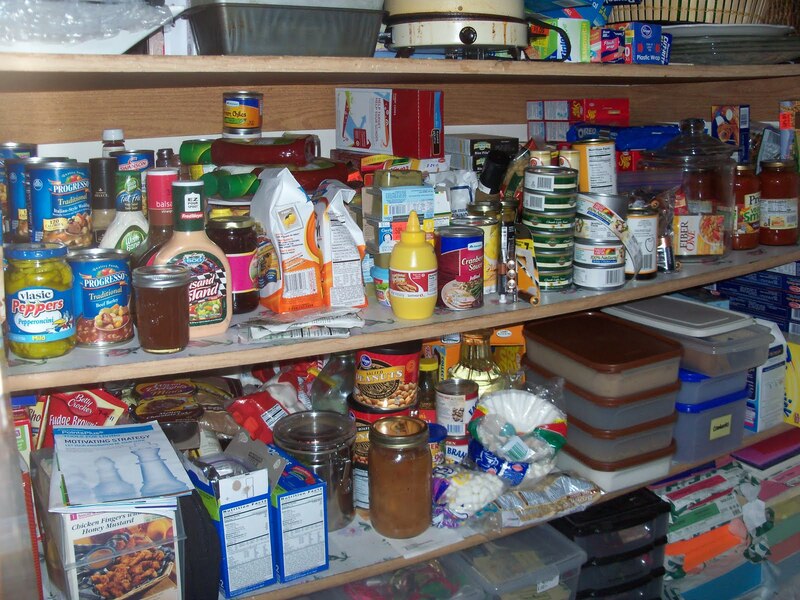 3. Review dates of food in the freezer and pantry and identify every item. 4. Plan the month of meals to include the oldest items first. For me, a grocery stockpiler, it has been a good practice to review dates periodically to make sure nothing goes to waste. If your pantry or freezer is also well-stocked or just has some old and/weird items hanging out, consider joining me in this challenge and use up those items! Ha! 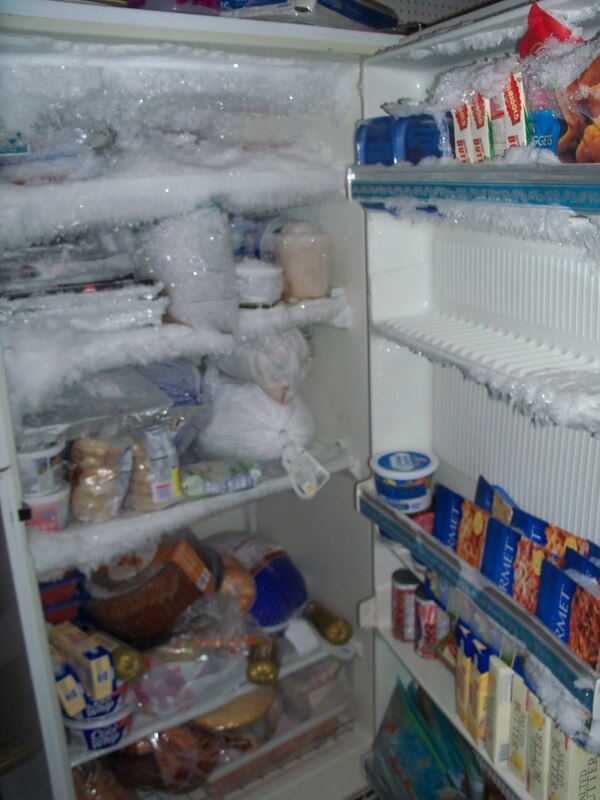 You definitely are in need of a good defrost:-) An inventory will certainly be a big help when you are doing your menu planning. Sarah - I actually thought of you when I wrote this post and for the exact same reason! Resourceful Tip - Marshmallow + Brown Sugar?